In health and social care services we have a long tradition of adopting a scatter-gun approach to staff training. Perhaps this is why staff members often feel negative about mandatory training initiatives, or feel that provision is often made as a knee-jerk response to something going wrong. More generous feedback emerges from events that individual’s have personally chosen to attend, but these often have little positive ripple effect out into the team they are part of… if you weren’t there you simply aren’t going to know much about it. The Practice Based Evidence initiative has long tried to establish a strengths approach to training, as well as to working with service users. The essence is to get all team members to provide a baseline evaluation of the good and not so good practice in their team, against a series of positive statements of best practice that should be relevant to the way they work. Hence, several Practice Based Evidence tools were devised to address different types of teams and different person-centred approaches to working. In the case of one of the Newham Community Mental Health Teams in 2006 an honest anonymised evaluation of team practice helped to identify the priorities for a subsequent 5-day programme tailored to their needs. This example illustrates how a practice development approach to training initiatives can respond to the needs identified by practitioners themselves, impact on the practice of a whole team, and engage people more in the process of change. 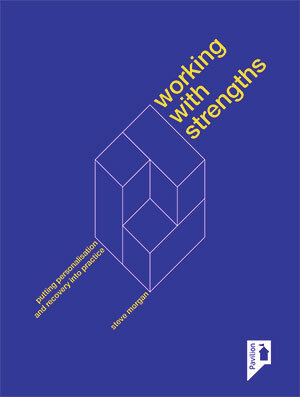 This is how a strengths approach can apply as much to team development as it should do for working with service users. More recently, in 2014/15, a programme of work with North East London NHS Foundation Trust acute care services focused on the place of positive risk-taking in relation to the work of crisis assessment and home treatment teams, including the teams for adult and older adults services. The programme commenced with team-based training workshops in order to focus in on relevant current clinical material and practices. It was followed up some 6-9 months later with in-service conversational semi-structured interviews of 28 staff, and a further number of Practice Based Evidence designed for purpose evaluation tools. The final reporting is a means of identifying positive practice, as well as giving staff a means for identifying what they can and need to change in order to improve the implementation of best practice. “Practice is the hardest part of learning, and training is the essence of transformation.” [Ann Voskamp].